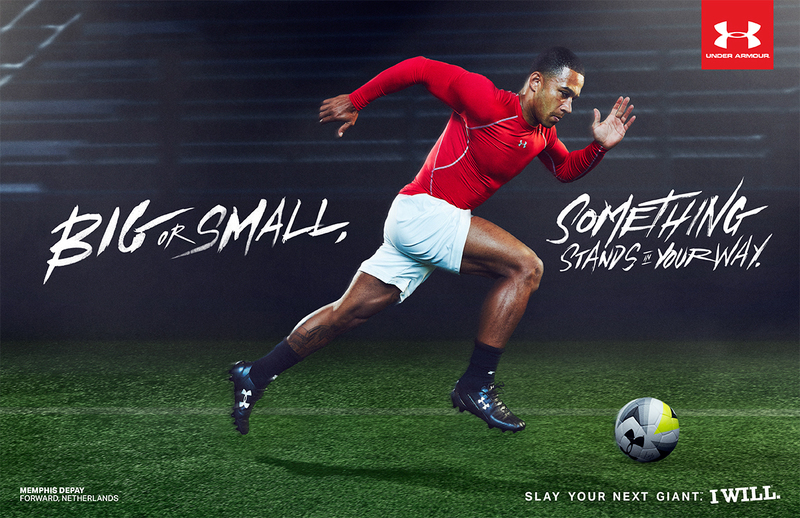 Under Armour Sets Off to Conquer the Soccer World. 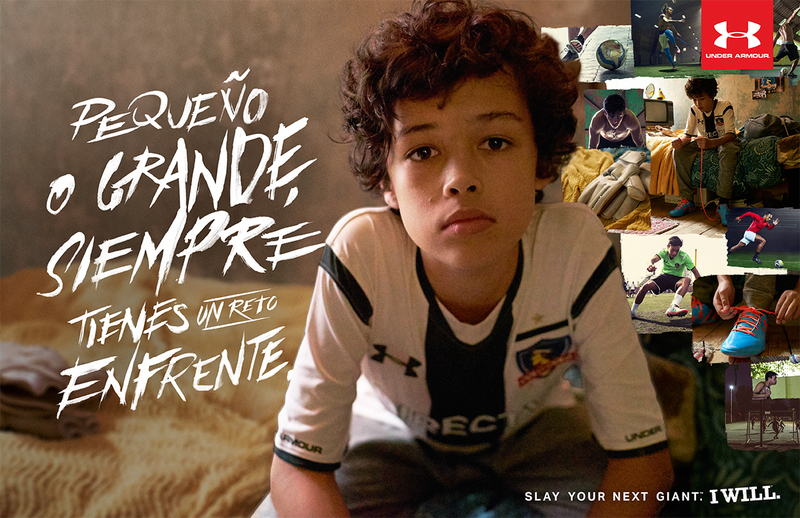 Under Armour has set its targets on the world of fútbol as the Maryland based athletic label officially launched its first ever global soccer campaign titled, "Slay Your Next Giant." 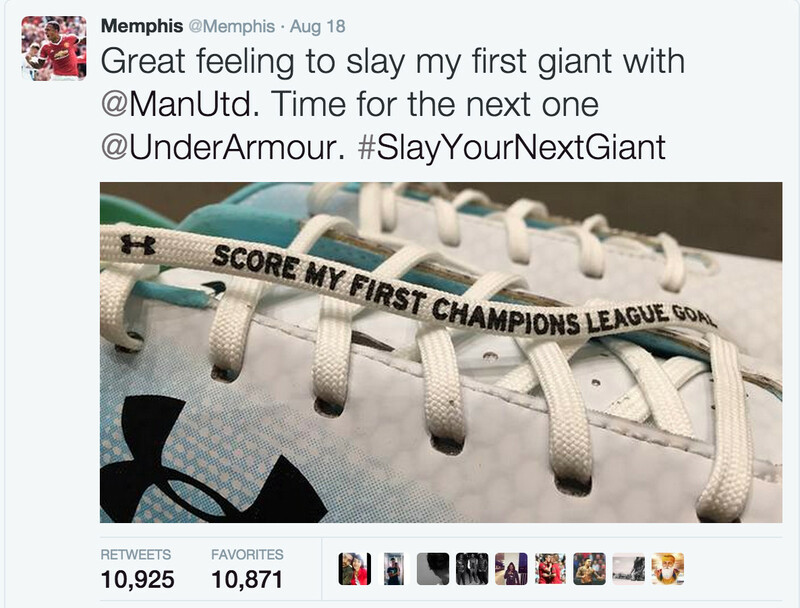 The impressive UA roster of soccer stars is led by Manchester United phenom Memphis Depay. Continuing the tradition of legendary players that have donned the iconic Man. 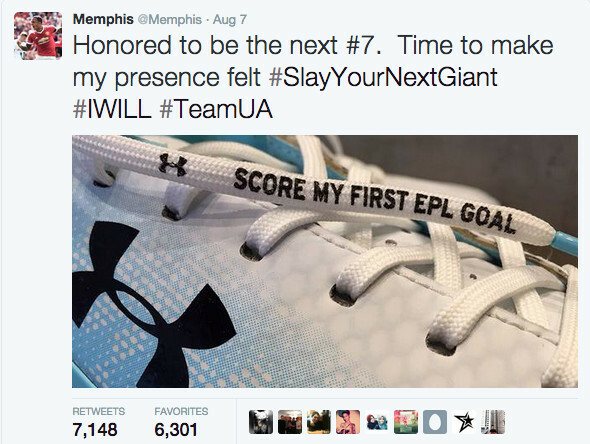 U number 7, Depay is positioned to be the face of Under Armour soccer for years to come. 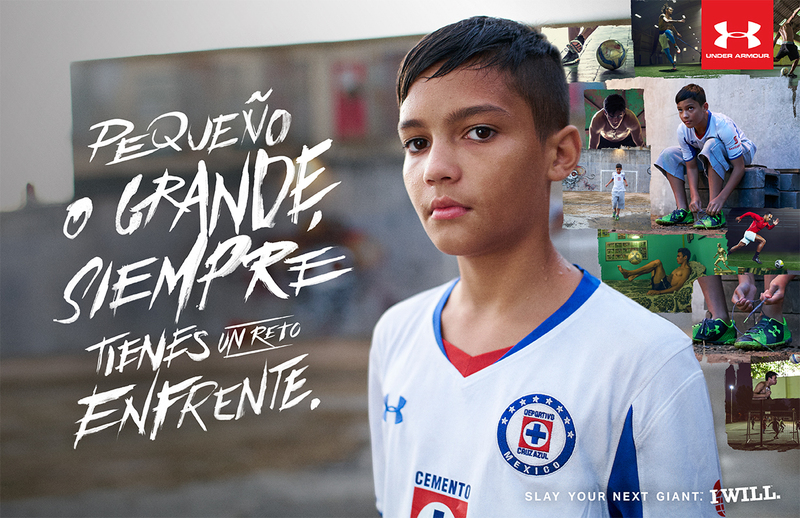 Joining Depay under the Under Armour banner is Jermaine Jones of the MLS’ New England Revolution, Oswaldo Alanís and Jesús Corona of the Mexican National Team, Gonzalo Fierro of Colo-Colo in Chile, Cameron Carter-Vickers of the Tottenham Hotspur Academy and a bevy of up-and-coming young stars. The campaign centralizes over the idea that at the end of each obstacle, a player must overcome a "giant" to raise his game to the next level and continue their growth as a player. 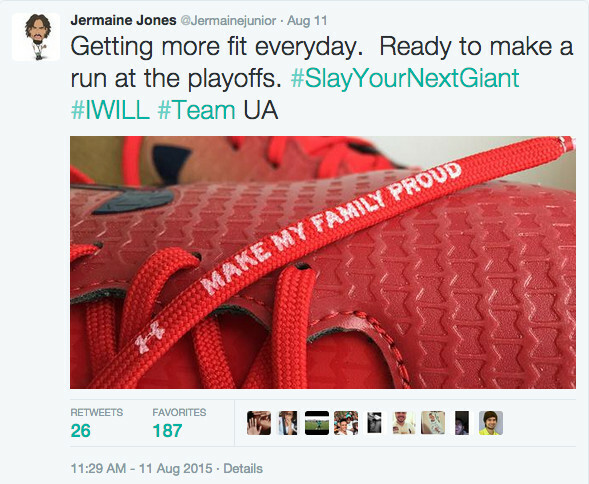 To help emphasize this idea, UA has made players' laces as a marquee element of the campaign. 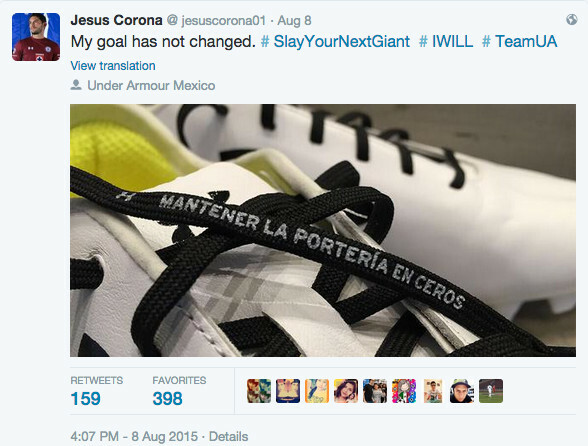 Laces on the player's cleats come with printed messages, personal goals that each player sets out to achieve. Upon completion and the "slaying of the giant," the player removes the laces and hangs them in his locker as a reminder of his accomplishment, but moves on to the next task. It's a notable detail and initiative and one that the players have been sharing on social media. 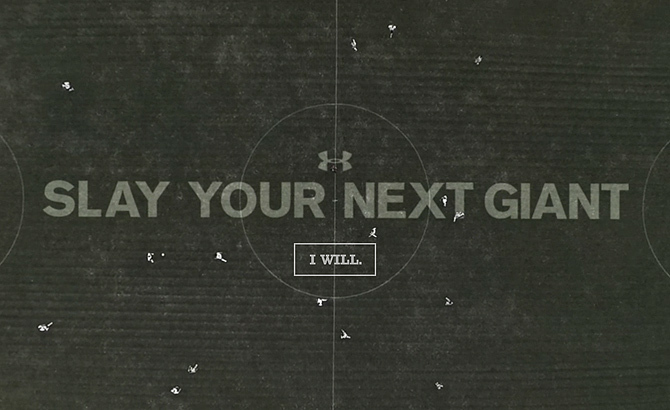 Peep the campaign and get to know some of players at UA's "Slay Your Next Giant" microsite now.